This morning was a relatively slow start for a change. I extended my stay for another night at the hotel I was in as it was cheap and cheerful. I got dressed and sun creamed up ready to go out and of course that meant it was raining! Not perturbed, I grabbed my rain coat and just added that to my attire. 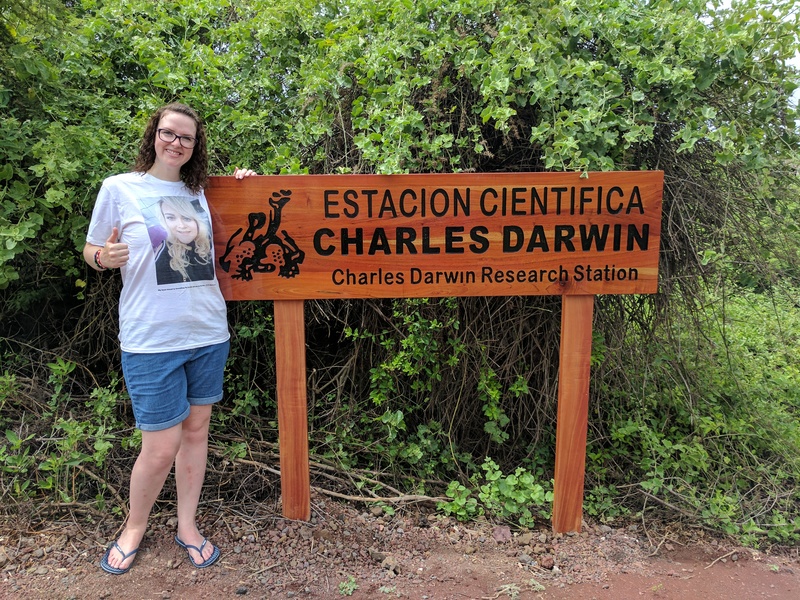 Remi and Cecilé were still here and had the morning to hang out before their ferry, so we all decided to go to the famous Darwin Research Station. It was a twenty minute walk away and by the time we arrived the rain had practically stopped – hooray!!! 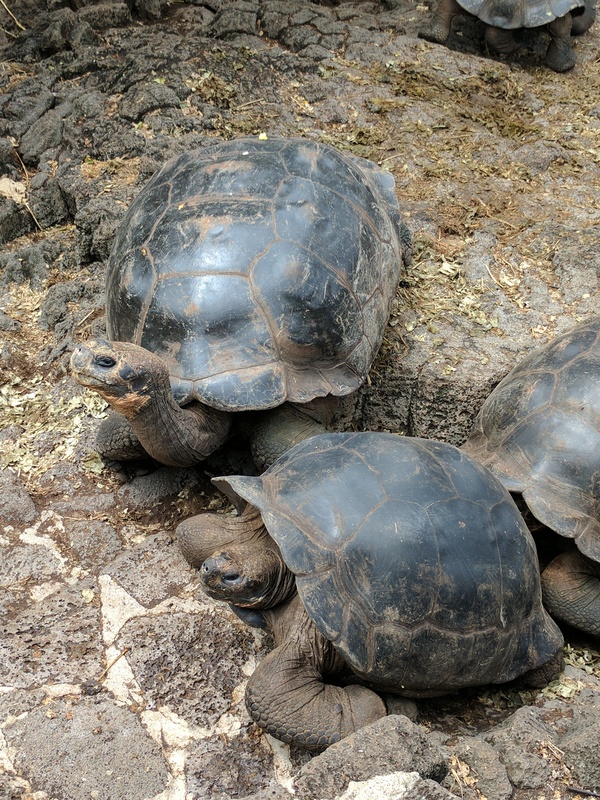 It was really interesting walking round and reading about the Galapagos and it’s species. 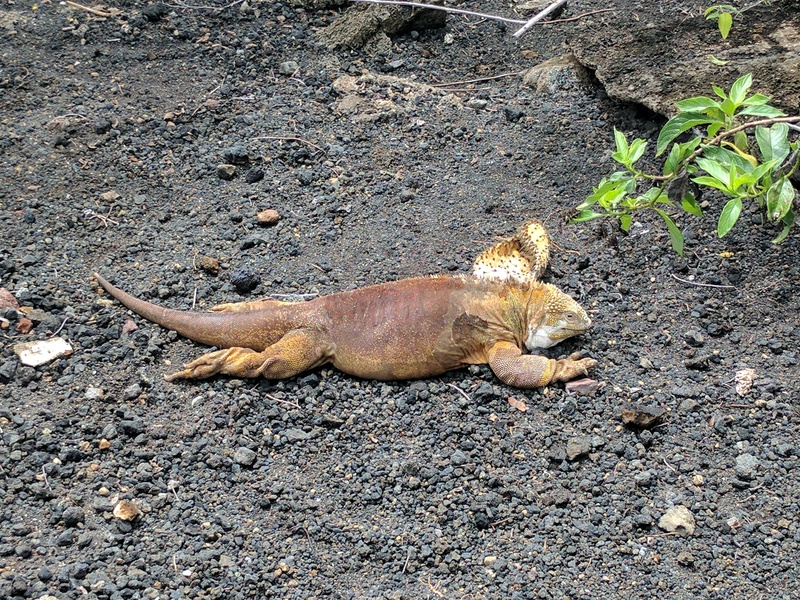 I got to see the largest tortoise I have ever seen and some beautiful yellow land iguana’s! It only felt right that the bestie should come…. On the way back from the Research centre, there were a group of guys gutting and preparing fish to sell. 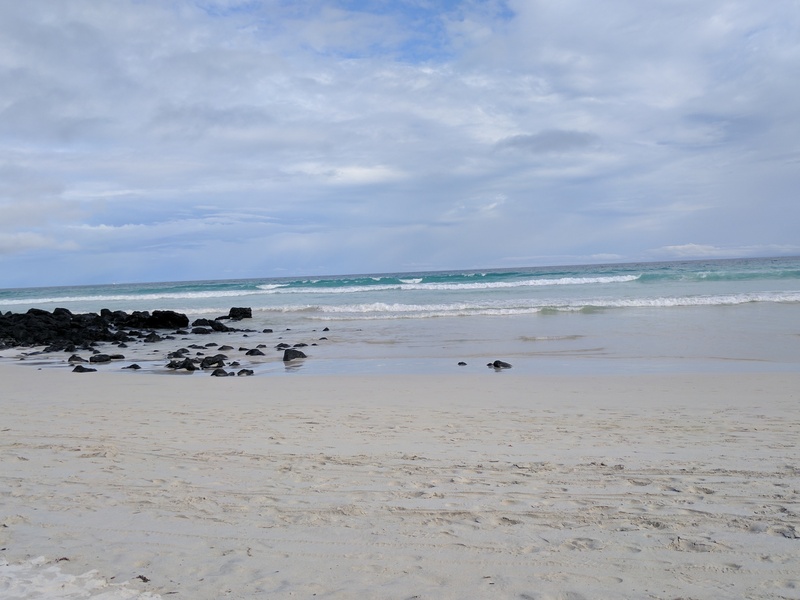 They were surrounded by the animals of the Galapagos; sea lions pelicans, herons, various birds etc. All were desperate to get a taste of the fish. 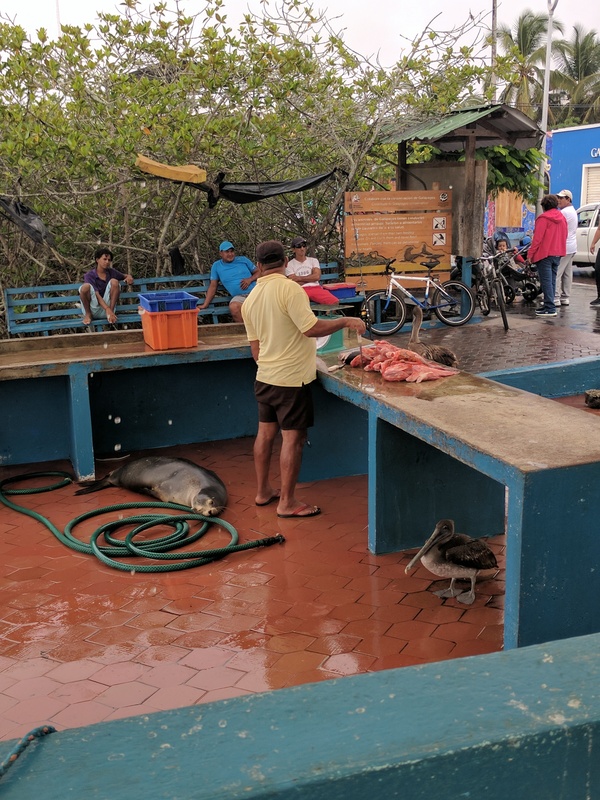 It was really amusing how dog like the sea lions were….they were literally standing between the guys legs with their head on the work top waiting to be given the smallest morsal. It was comical and bizarre to watch! Before the action began and everyone was chilled out! After lunch it was time for Remi and Cecilé to catch their ferry and I decided I would get myself organised (pick up water, snacks etc) and head out for Tortuga bay. It was very hot by this point and I was draining my water supplies like I had a leak. It was a nice walk but very hilly. 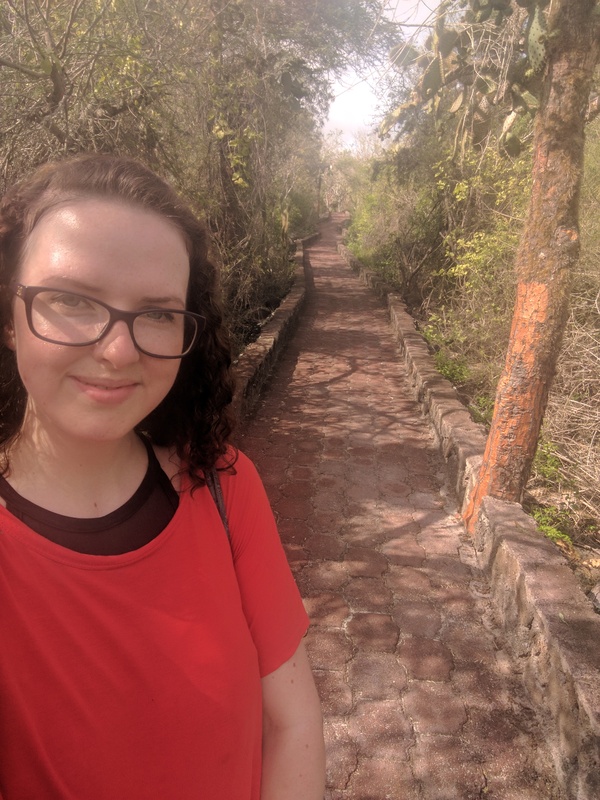 Luckily it was paved, but there was no shelter at any point from the sun so I was starting to match the colour of my top despite the sun cream! My poor legs are feeling abused from the last few days…. At the end of the path was the stunning Tortuga Bay. White sand, blue skies, turquoise water, black lava rocks, green mangroves. Truly perfect looking. On the beach there were sea turtle tracks and cordoned off areas where the nesting sites were. The far left side of the bay there were surfers and the far right there were snorkellers. I settled myself in the middle not far from the nesting sites to soak up the peaceful waves and get my postcards written. After a little bit I had a paddle in the hopes the salt water would help the bites on my legs. Surprise surprise I am having quite a reaction and my legs are looking like swollen, red, blotchy messes….again! Every time the last batch is almost fully healed I get a load more…..I give up! The route back seemed to take forever….I was low on water which didn’t help. I went through a litre just walking there and back again. I collapsed in my room to recover and get back to a normal temperature before going to post off my postcards and go for dinner. 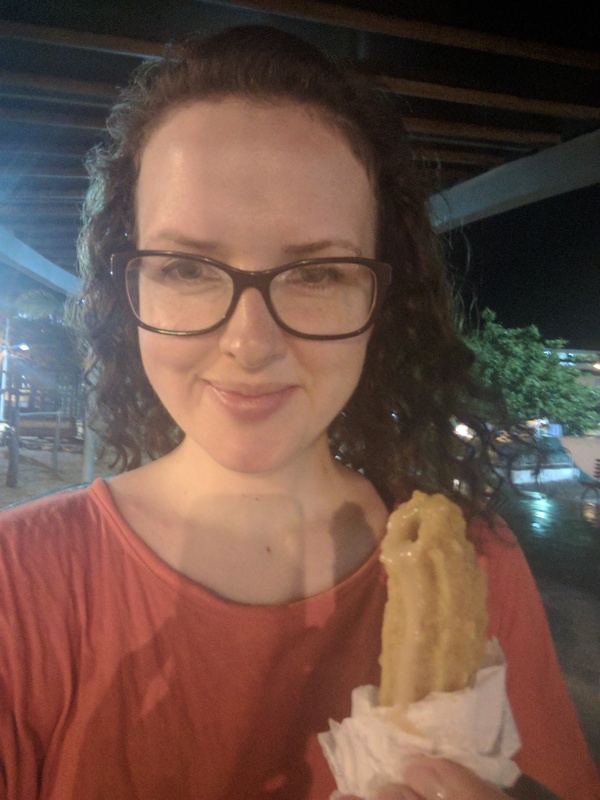 Once I had eaten (it was a delicious tuna steak *druel*), I took a wander to the pier – in the rain again and on my way came across churros. I couldn’t resist….it would be rude not to have one in honour of my wifey! So I tucked in, checked out the sharks and headed back for an early night before my final island hop.